Do you love a pattern, but it doesn’t come in your size? This happens to me about 90% of the time, so I figured out a way around it and I’m happy to share it with you! First off, if this your first time grading up a pattern, I recommend using a pattern company with sizing that you are familiar with. Some patterns have a lot of ease, so your finished product may end up larger (or sometimes smaller) than you wish. Pay attention to the finished garment sizes on the envelope. Second, I did not trace these patterns onto tracing paper. If this is your first time grading, I recommend tracing your patterns first and then grading up. I rarely trace patterns unless they are vintage. I don’t have to do many alterations to patterns like FBA’s and honestly find tracing time consuming, especially since I like to try out a lot of patterns. I like to use both clear and solid rulers. You could get away without using a curve, but it will make your life easier if you have one. I am also using paper cutting scissors for this, not my fabric shears (although these are former shears…). The chalk and fabric marker are for grading on fabric (which I do not recommend if you’re a beginner). These are both beginner patterns from companies I am familiar with and fairly easy to grade up. The Belcarra is a pdf version which you could grade up without tracing for most of the pattern pieces. I start off by looking at the measurements on the size chart and sizing up according to the patterns’ sizes. I then figure out my size based on the measurements. Sometimes I am mid-way between sizes and will grade between the two upgraded sizes. Using your ruler, measure the increments between sizes. With the Hazel, you’ll notice that the increments between the upper sizes are larger than the smaller ones. This is not so with the Belcarra. This is where making a muslin of your graded up pattern will come in handy. Now, take your ruler and measure how far you need to go out from the pattern sizes and mark it. With the bodice on the Hazel, I am only grading up one size, so I marked one increment. For the Belcarra, I am going up 3 1/2 sizes, so I multiply my measurement from Step 1 times 3.5 and use that measurement when grading up. I find the easiest way to do this is by setting ruler on the pattern lines and drawing a line out to your selected measurement, going up every 1/2 – 1 inch or so all the way around the pattern piece, angling my ruler as I go along to follow the pattern lines. When you are between the pattern sizes, you can measure in increments to fit your size at different points on the pattern and slope your ruler to fit these. This can be a bit tricky and will take a bit of practice. I then take my ruler and connect the marks that I’ve made. As you can see on the Hazel, it gets a little messy using a pen on the pattern paper and I should have used a pencil! Obviously, your body is not all straight rectangles and squares, so this is where your curve comes in. You use it to draw your curves, and oh, how it makes life easier!! Of course, you could draw lines without the curve if you so wish. After you’re done grading your pattern, cut it out! Make sure that you’ve also graded up the darts and markings as well, using the same method of increments. As we are doing a straight up grading from the average size, you may not fit the new dart placement, so make sure that you make a muslin first, so that you can check the placements and get the fit you want. You’re done and ready to roll!! Time to cut out your fabric and sew it up! If your grading is off by a hair, don’t stress about it. You can usually fix that when you’re sewing. Sometimes my edges are not perfect and when I sew it up and finish the seams, it all magically disappears. The most important thing to remember is to take your time. It might seem like a daunting task when you’re starting out, but you’ll get the hang of it and it will be easy and second nature to you from then on. I don’t have any experience in grading down patterns, but I would imagine that you would go the opposite direction from the smallest size if you were using this method. I rarely take the time these days to draw out all of the increments on my pattern pieces as I have graded up many patterns now (not sure of the exact number– but I’d say it’s around 50+ at the moment). I am pretty good at eyeballing things and I often grade up my pattern directly on my fabric. I measure out the increments and mark with chalk where I’m going to cut. The above photo is me doing this on the Hazel skirt and you can see my chalk marks where I’m going to cut. Take caution when going this route. It took a lot of practice for me to get to that point. If you want to try it this way, I recommend doing it first on your muslin. BTW, white muslin works great for making markings and grading up patterns! Just a bit unruly compared to tracing paper. One dress pattern I’m looking at for me has a bust of 48″ inches, waist of 41.5″. My measurements are bust 48″, waist 45.5″, hips 53″. What do I do then? Look for a different pattern? Thanks for the great photos and instructions. I am new to sewing and getting ready to start tackling a new wardrobe. Loving this site. I know this post is quite a bit old, but I’m hoping someone will still be able to help. I have a pencil skirt pattern that goes up to 51.5″ (3xl) my mother in law would like a skirt but she’s 55″ in the hips. The spacing between the size chart is uneven. For example, between medium fits 40″ and large fits 43″, but extra large fits 46.5″ and 2x fits 47.5″. The spacing between all sizes on the patterns is 2cm in width. I’m wondering if 2cm will be all I need to grade it out, or if I should grade it 4cm out? The piece is a cut 2 on fold. Thank you thank you thank you!! I have seen some incredibly complicated pattern grading instructions online and was starting to feel a bit like I’d never be able to do it. I realize this is a simplified version, and that it will possibly require some trial and error, but oh, wow, thank you. I feel a LOT more confident in making an attempt. Great post Tanya! All the technicalities can be quite overwhelming to new sewists! I think this is a very easy to understand tutorial, and it happens to be the way I do most of my grading. 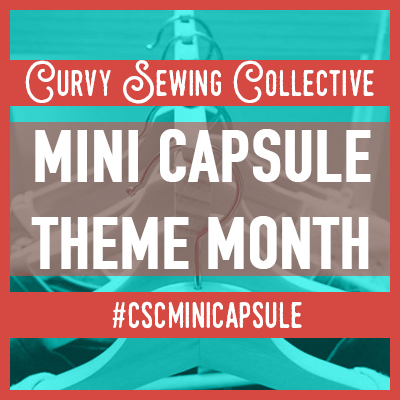 I love what the Curvy Sewing Collection is doing here, and just how it is being done. Keep up the great work ladies…all of you are sewing rock stars in my opinion! There will be times when you want to make the size adjustment in the middle of a piece, not the edge (FBAs for one, going from a size 4 to 14 for another) but yup, this works well enough. Making this less scary is what it’s all about. There’s always more paper and tape if you make a mistake. Thank you. It does get a little more involved when you have other adjustments to do. Kudos to you! In this blog entry you have presented a clever way to adjust the pattern to an individual’s measurements, one that people will find helpful. 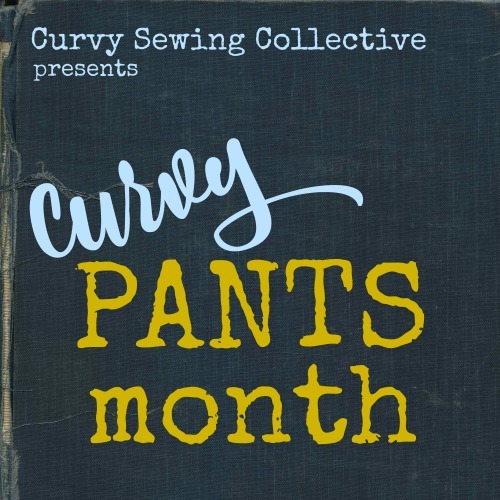 I just discovered Curvy Sewing Collective this week and I am very interested in seeing this website meet its goal of promoting sewing among curvy women. I am a curvy woman who enjoys sewing and I’d like to see more women enjoy it as much as I do. Second, what you describe doing to adjust the measurements of the pattern is not “grading” but, more accurately best described as “adjusting it to your size”. You have not incorporated fitting adjustments yet, just changed the measurements and thus the size. Grading has a very particular meaning when it is applied to patterns: A pattern grade is a set of predetermined (by the designer of an apparel line), generally regular, arithmetical relationships between sizes in a particular garment’s size range to fit a general size body. What you are doing in this blog entry is creating a specific size (in this case specific to you), not a general size for production sewing, and therefore what you have done is not grading. Third, you may feel that my insistence on using the proper nomenclature or jargon is nitpicking and I would agree. Sewing is an old human endeavor with has a well established vocabulary that when used accurately allows for clear communication to take place. 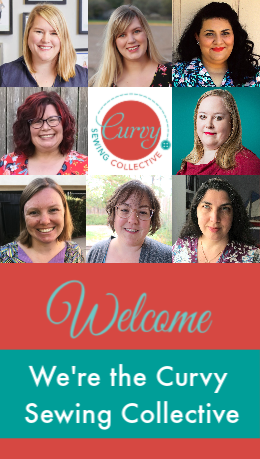 More to the point of the Curvy Sewing Collective blog’s goal, insistence on using the correct words for things on this blog will help smooth the way for new sew-ers to learn and experienced sew-ers to pass on their knowledge. When a newbie leaves this blog and reads Threads magazine or a book by Pati Palmer or Mary Brooks Picken they aren’t going to be confused by the new author’s use of language if you encourage the use of proper language on this website. Your website can make itself stand out by encouraging the use of best practices including using well established sewing nomenclature/terms properly. I hesitated to write this comment because I don’t want to do anything to discourage this endeavor, but I have hopes my remarks will help your editors and “contributors”/staff? to build a site that is useful and promotes the interchange of good, accurate sewing related knowledge between newbies and the experienced. Tanya, I apologize. What you are doing is a rough, imprecise version of grading which would not be acceptable in professional situations, but it is grading. 2. When drawing the lines to change the size on a curve, don’t draw them perpendicular to the old lines. Draw them angled towards the radiating center of the curve. If you are familiar with geometry the line you want to draw should follow approximately the radius of the curve. (You can also use your curve stick’s markings to literally point you in the right direction as all the measurement markings on its curved edges are each aligned to their point on the curve’s radius.) Once that’s done join the ends of your lines with the curve stick three to five at a time if you are placing them an inch or so apart from one another as in your pictures. (The closer they are the more you can easily join smoothly at a time.) This strategy will give you smoother curves more easily than you were able to achieve in the picture titled “Step Five: Belcarra” in your post. Again, kudos for your idea. And thank you for sharing it with us. Wow, I hope Melissa Brown does contribute a few posts. She really taught me a lot in these comments. And thanks also to Tanya for this tutorial. Burda magazine always has a snippet on this sizing-up but your tutorial really makes it clear. I learned several things from your post. Thank you for sharing your knowledge. Good piece! I have been sewing for 40 years and had never heard of an FBA until about 5 years ago – I sometimes think there is so much technical info out there, it scares people off having a go. This more intuitive method is immediately accessible. And yup, heaps of things can be sorted out in the fitting process. And transferring those changes back to the pattern means there you have a TNT! Thank you! Yes! Technical stuff and math will definitely throw you off, especially if you’re just starting out with sewing. It still throws me off sometimes!